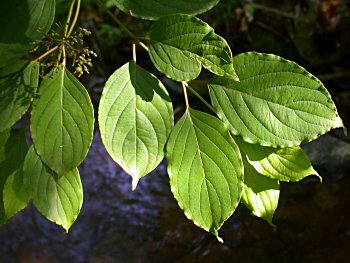 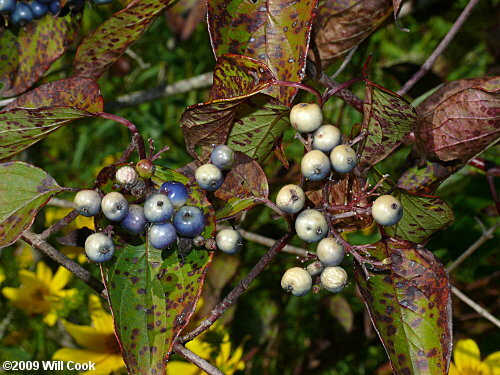 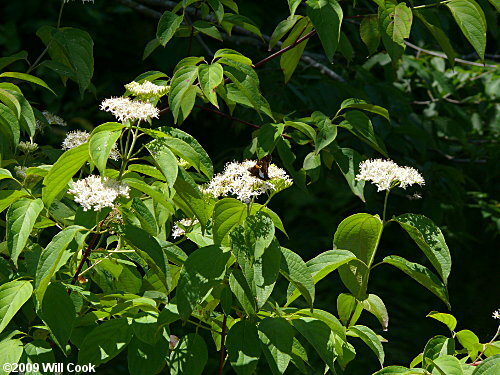 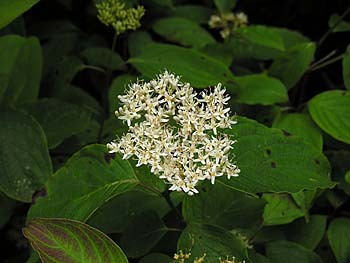 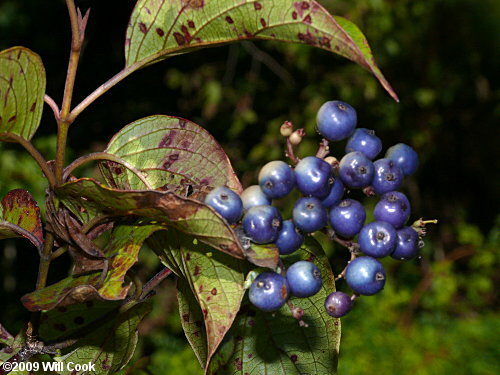 Also known as Swamp Dogwood, Silky Dogwood is a common medium-sized shrub found along streams and in other wet areas. 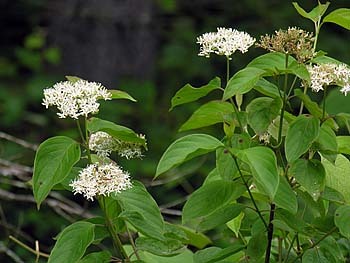 Clusters of small white flowers appear in late spring or early summer. 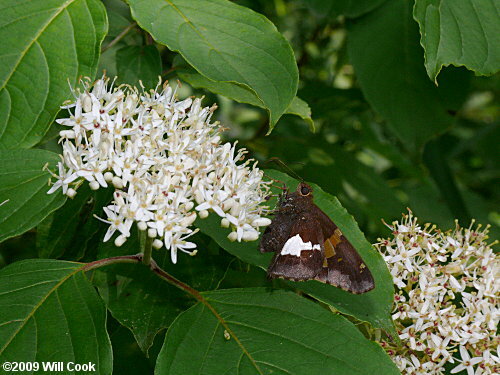 They are a favorite nectar source for butterflies, such as this Silver-spotted Skipper. 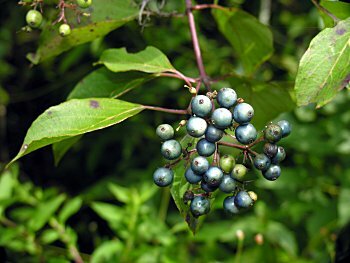 The drupes turn from white to blue/lavender as they ripen. 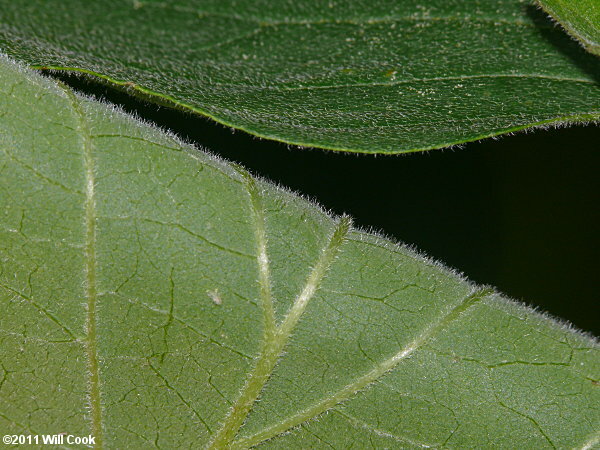 Leaf undersides and uppersides are silky-hairy. 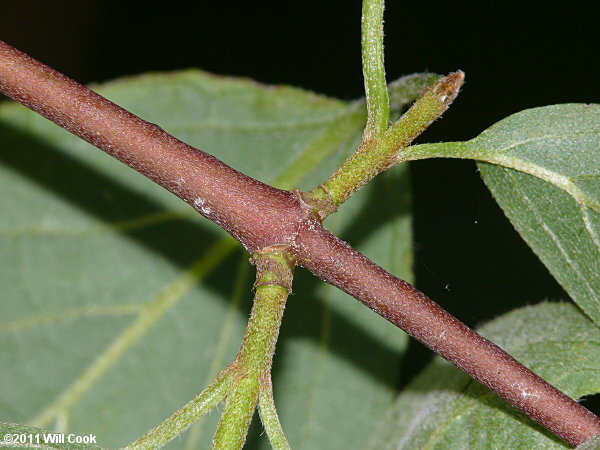 The leaves are opposite, simple, and have prominent veins. 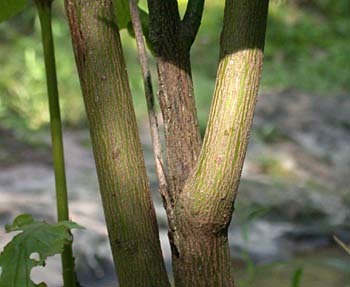 The veins curve inwards as they near the edge of the leaf. 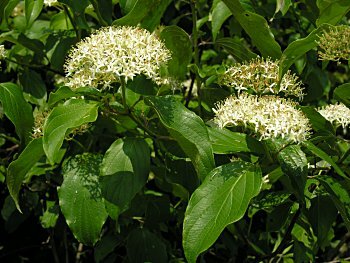 The pith of branchlets is brown, unlike the white pith of the similar Stiff Dogwood (Cornus foemina). 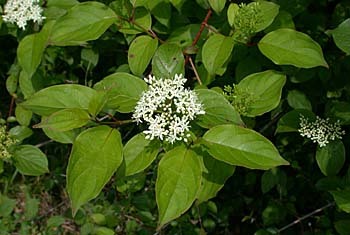 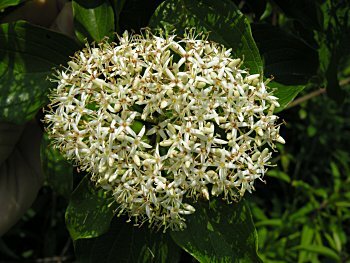 The leaves are similar to those of Flowering Dogwood (Cornus florida), but the flower clusters do not have large, showy white bracts. 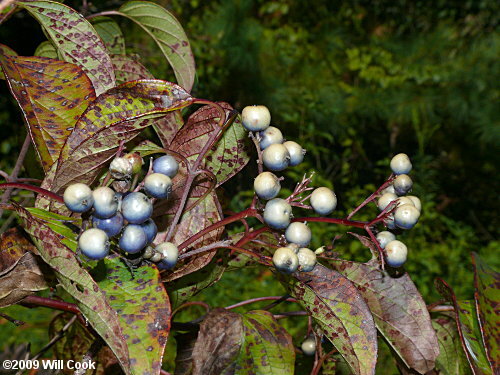 Swamp Dogwood is fairly common throughout the Mountains and Piedmont of NC, uncommon to rare in the Coastal Plain. 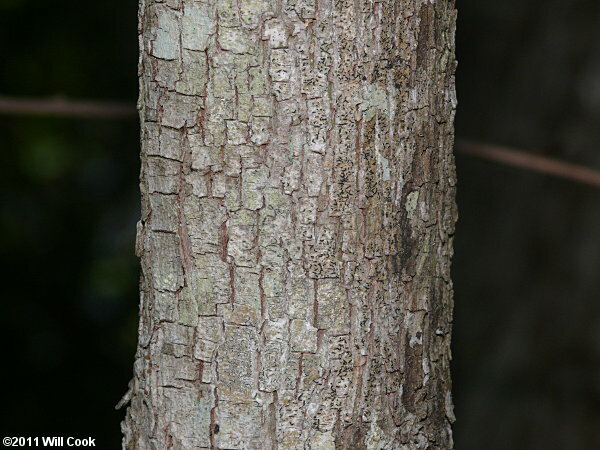 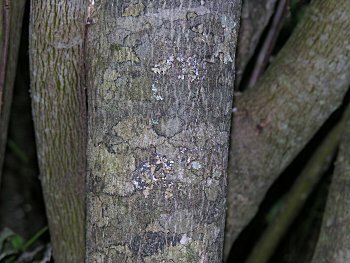 Bark of a larger tree.